Maldives have 5 airports. 2 International located in Hulhule Island- Male (Main Airport), Gan Island (South Maldives )and 3 small Domestic airports. 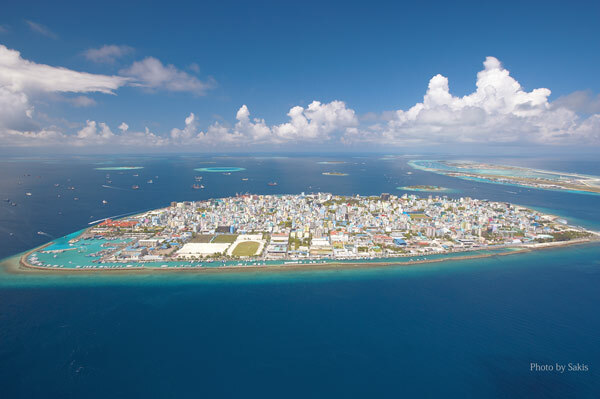 Male airport is built on Hulhule Island which is a short ferry ride from the main town. Normally the only way to travel to town and back to the airport is by Dhoni (local ferry) or by speedboat. Dhonis that connect Male and Male Airport leave every 10-15 min, charge a fixed fare of 10 rufiyaas / app.1 USD per passenger and takes between 10 to 15 mins.